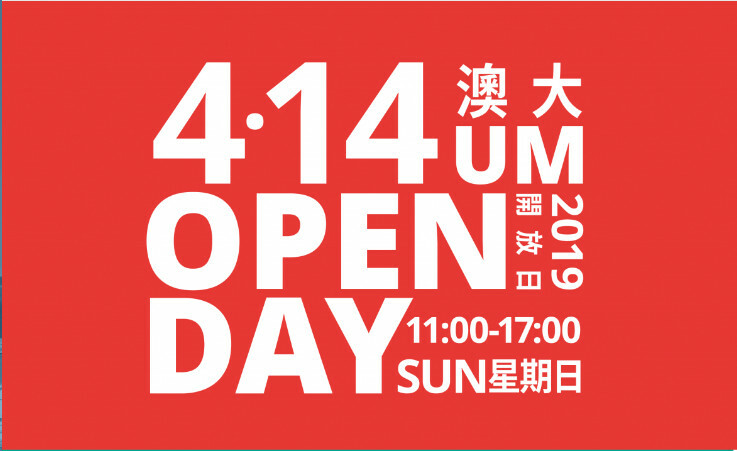 The University of Macau (UM) will hold the UM Open Day on 14 April (Sunday). There will be various activities on that day, including course consultation, themed talks, recreational and sports activities, performances, fun experiments, workshops, game booths, and family-friendly games. Visitors will have the chance to experience UM’s unique model of education and vibrant campus life. With the increasing exchange and collaboration between UM and other universities in the Greater Bay Area, we welcome all friends from the Greater Bay Area. Come to join us for the Open Day! It will certainly be a day to remember! The Open Day will take place from 11:00am to 5:00pm. Apart from the activities mentioned above, there will also be an augmented reality (AR) video game, as well as a parade by international students, an International Food Festival, and academic talks. Visitors will have the chance to win exciting prizes after collecting all the required stamps. They can also learn more about the university and experience ‘A Day at UM’ via the campus tours guided by PR Student Ambassadors. On the Open Day, the various faculties, residential colleges, laboratories, as well as the library and Sports Complex will be open to visitors. The university will invite student representatives from different departments to provide information to visitors at these locations. They will share their personal experiences of studying at UM as well as the university’s latest achievements in teaching and research. Consultation booths and exhibition panels will be set up at various locations to explain academic programmes offered by the different departments. Student visitors can visit departments of their interest to learn more about the programmes and admission process. Those who are interested in attending the Open Day can take bus route 71, 73, or 72 to get to the campus. Those who plan to drive to the campus can park the vehicles in UM’s public car parks. The various restaurants on campus will be open to the public on the Open Day with various discounts. For more information, please visit https://openday2019.um.edu.mo/ or subscribe to UM on WeChat ‘澳大UM’ or Facebook ‘University of Macau’.